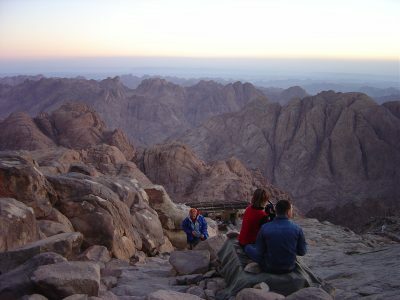 A pilgrimage to the summit of Mount Sinai . We were in Egypt to scuba dive and snorkel in the Red Sea. We visited New York and saw an exhibition about the Holy Monastery of Saint Catherine at the Metropolitan Museum of Art.